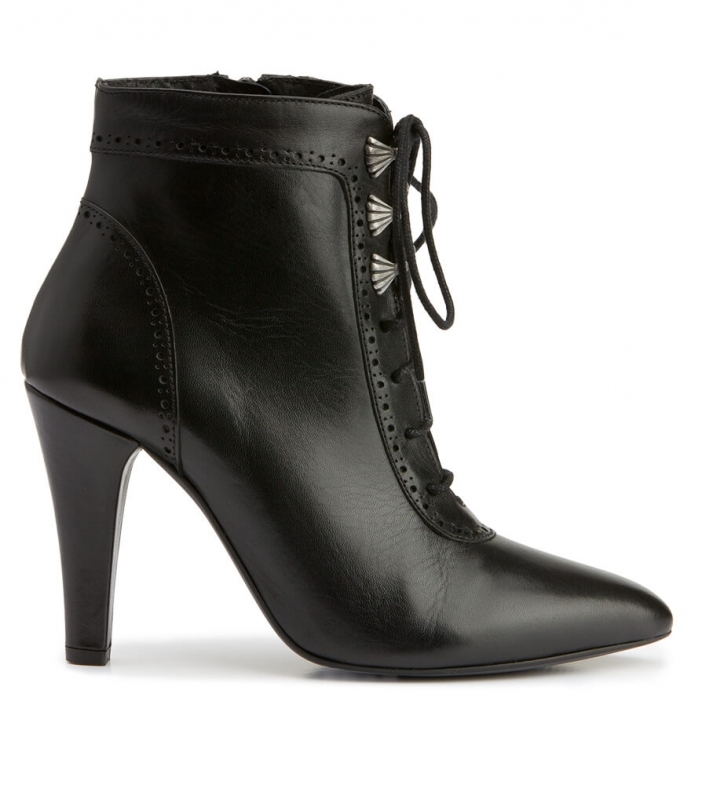 Women’s High-Heeled Boots 7017 in Black. These women’s black high-heeled boots are sure to be the perfect companion when you really need to step out in style at Oktoberfest. While the heels are high enough to create a lasting impression, they are squared off at the bottoms to provide flawless balance. They are made from 100% patent leather that are designed to fit snugly around the ankles and provide extra support, while the black lacing up the front is finished with three silver eyelets at the top that add an extra touch of class and compliment the eyelet design around the seams.